I'll keep today's post short after yesterday! I love red glitters, don't you? Red is a classic color that's blinged out, and honestly I think looks good on everyone. 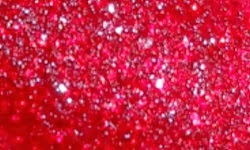 You cannot go wrong with a great red glitter. I recently found out you can't go wrong with a textured red glitter either! 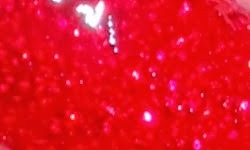 Chyna is a ruby red textured glitter. Color: Awesome, rich, and sparkling red. This is a pretty standard red, but look at it? Chyna with top coat is pretty much any other red glitter, but textured it's a whole new ballpark. Chyna is amazing! Formula: Excellent. I used 2 coats for the swatch above. 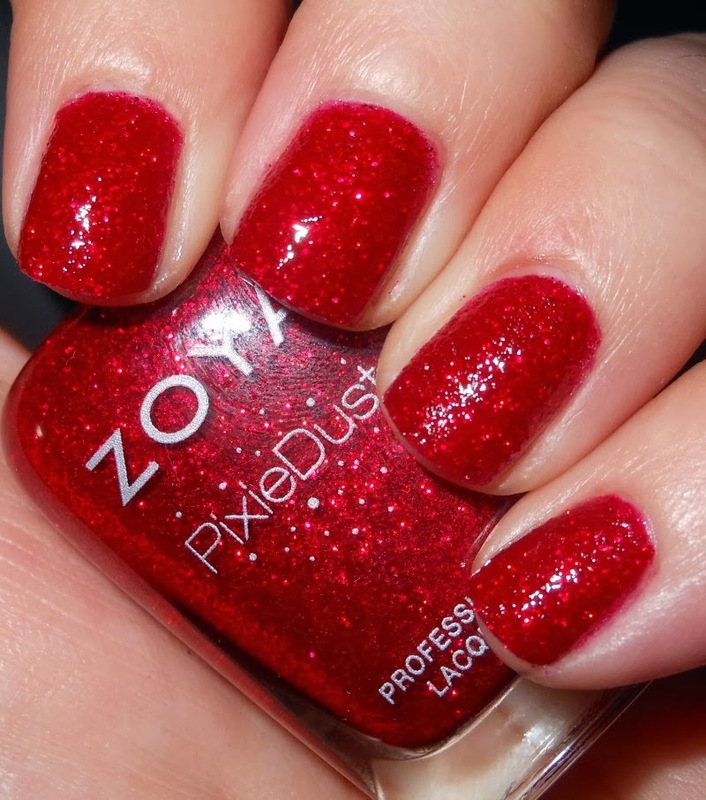 Price: This is $9.00 on Zoya's website and is part of the PixieDust line. Overall: Great textured red glitter polish. You cannot go wrong. I think everyone needs this polish in their collection. Must have! Very pretty...I think I need to pick this one up. This is beautiful and I agree, I do think everyone could wear this one. Haha! This is so funny - I am wearing this right now!! And it is so sparkly and gorgeous I can't believe it - I've gotten so many compliments on it. And you are absolutely right about it being easy to wear for all skin tones. I also feel like this is one of those textured polishes that looks better the longer you have it on and it completely dries- sparkle city! This is a really gorgeous colour! It almost reminds me of Dorthy's shoes from The Wizard of Oz or something! :D Great for the upcoming holiday season. I have it on my nails today, with a top coat. It's very pretty and the sparkles are like a real light.